SOUTH WEST SYDNEY ROCKETS ARE CELEBRATING !!! HAS IT REALLY BEEN ONE YEAR ALREADY? AND SWSR ARE TAKING TO THE TRACK TO CELEBRATE! 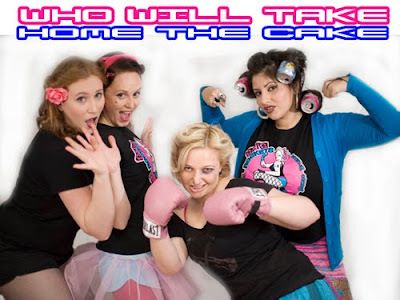 WHO WILL TAKE HOME THE CAKE ? 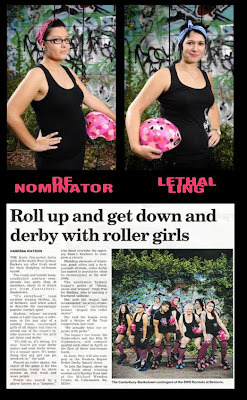 After much anticipation we are proud to announce after skating our butts off and living by our motto "Blood - Sweat and Bruises" for the last 11 months, SWS Rockettes will be taking on each other in our very first bout of the season ! Half time entertainment, delicious cakes lovingly baked by the ladies of SWSR and more !! 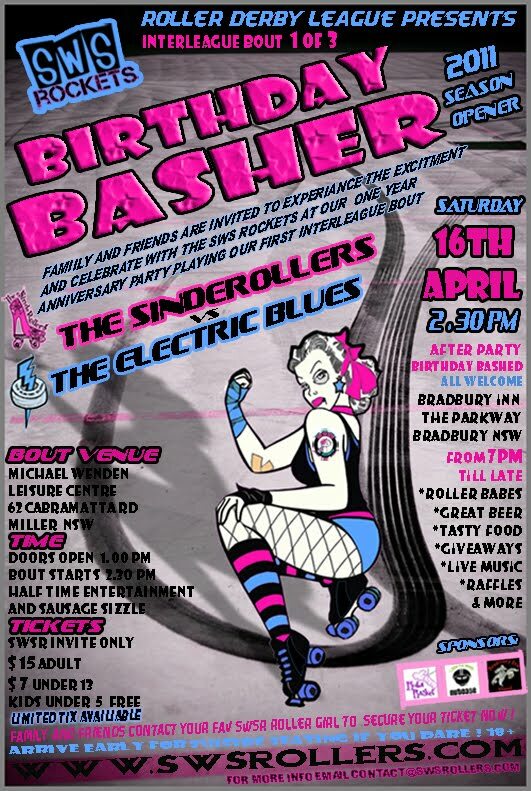 *sponsors: Nutcase Helmets, Bradbury Inn, Rubi Rocket & the many more companies who have donated to SWSR for our amazing raffle ! 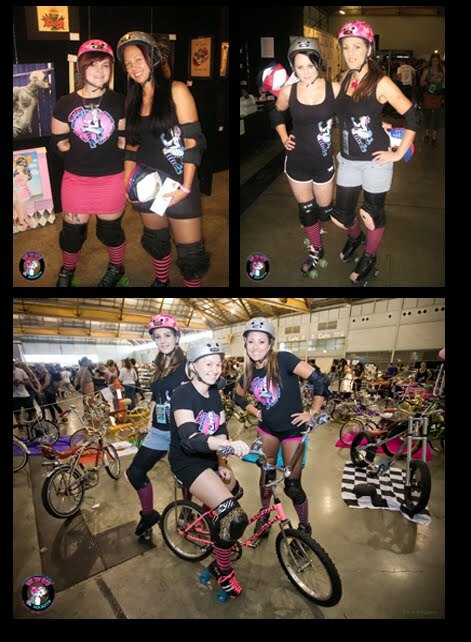 We were thrilled to be at this years Sydney Tattoo and Body Art expo, co-inciding with the very first Rockabilly "VaVoom Festival"
WE CANT WAIT TO SEE EVERYONE AGAIN NEXT YEAR !! 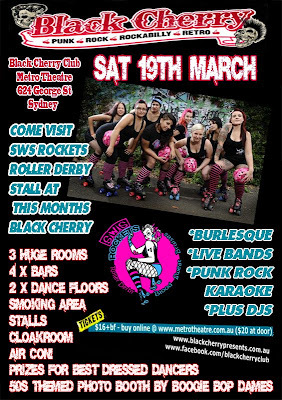 with oodles of bands, burlesque, djs and Karaoke..
SOUTH WEST SYDNEY ROCKETS HIT THE PRESS!! SWSR are featured on the front page !! with story continued on page 50 !! 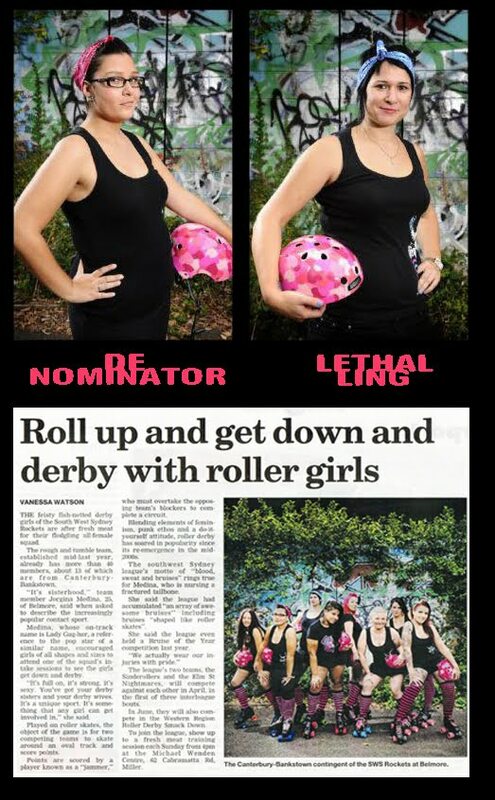 to view the article get your copy of the Canterbury - Bankstown Express Newspaper NOW !! 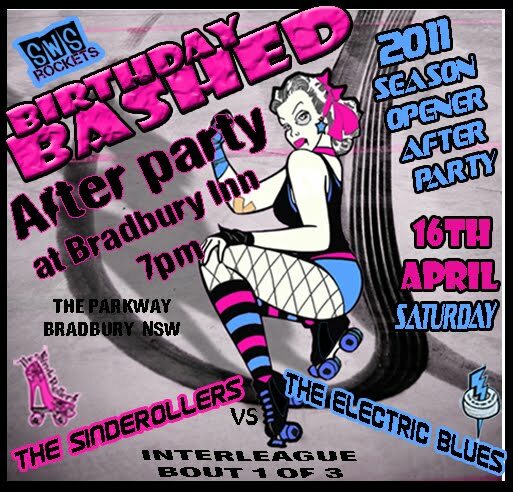 SEE SOUTH WEST SYDNEY ROCKETS THERE !! 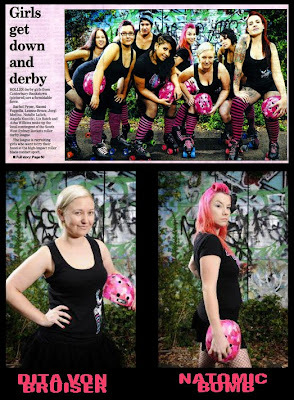 Come see the SWS Rockettes at this years Sydney Tattoo and Body Art Expo, coinciding with the first VaVaVoom Rockabilly Festival at Sydney Olympic Park. THREE DAY WEEKEND - 11th, 12th and 13th March!!! and be sure to vote on your favourite bike there ! !